Take a closer look at the beast depicted by the Serpentine Dragon Dagger. Just imagine the glitter of its scales as it coils and wiggles its snakelike body. Its wings capture the wind allowing it to sail smoothly through the air. 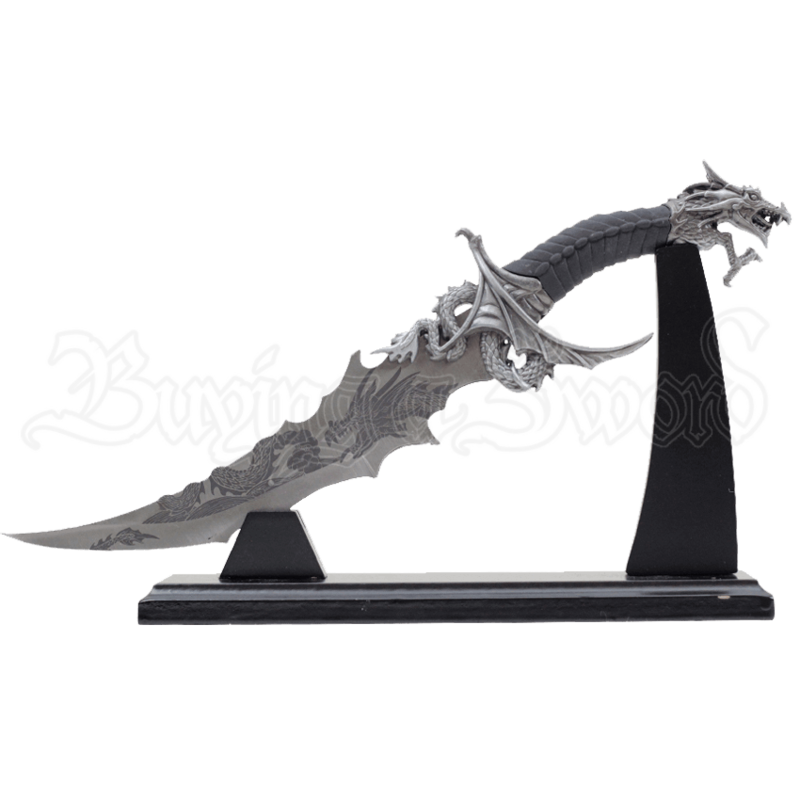 This decorative dagger is a delightful find for those enchanted by the fantasy and lore surrounding the medieval dragon. 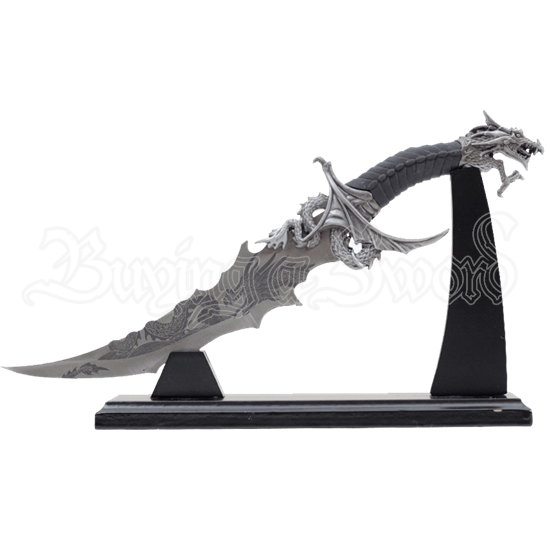 A dark etching of the beast decorates the serrated blade while a cast metal image of the dragon forms the handle. Its coiled body and wings comprise the guard while its horned head serves as a pommel. A segmented grip mimics the scales of said dragon, contributing to a firm hold as well as style. Add a medieval touch to your home or office by displaying this dagger with its wooden stand.